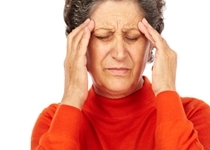 Home » General Health » Digestive Health and Headaches Linked? Digestive Health and Headaches Linked? I like to think of my body as a city; it’s a group of communities living in a larger area, each one affecting the other in one way or another. And if I’m going to stay in good health, I need to be aware of these connections. I understand that while my habits directly affect one part of my body, they may be indirectly affecting others. For example, my stomach could be the downtown core, where bankers make financial decisions. My brain could be another area, say uptown, close to city hall. My heart might be my neighborhood in the east side of town. And just like how the banker’s decisions impact the institutions they work for, they also influence city hall. Both of those institutions influence my personal banking, taxes, what I might be able to afford, and ultimately, who lives in what neighborhood—which could affect the neighborhood on the east side of the city, my heart. Your body interacts in a very similar fashion. Consider how stress can affect you physically: headaches, sneezing, and back pain. But it doesn’t stop there. Reactions in your digestive system could actually play a major role in why you get headaches. One good example that I recently learned of is that your digestive system could play a key role in the production of serotonin—a neurotransmitter closely related to migraine headaches—and also has several serotonin receptors. These receptors respond to serotonin inhibitors. For example, people with IBS (irritable bowel syndrome) have been found to respond very well to antidepressants, which inhibit serotonin—and they’re not taking them for depression, but for their IBS symptoms. Furthermore, many of the participants were unaware they even had these food allergies, because they experienced no symptoms in their digestive systems. These results show there is a very close relationship between your gut and your head, and that what you eat—and the bacteria in your gut—can play a major role in the onset of headaches. It’s quite possible that a healthy, balanced digestive system could help stave off headaches, and not just digestive discomfort. To learn if you’re allergic to certain foods, go get an allergy test. It’s quite possible you could be allergic to foods without even noticing! Once you’ve done that, try a probiotic supplement and a balanced, healthy diet. Fix your gut and it could save you from your next headache! Gokani, T., “The Gut-Brain Link: How Your Headaches Might Stem From Your Digestion,” The Huffington Post, November 13, 2014; http://www.huffingtonpost.com/trupti-gokani-md/the-gutbrain-link-how-you_b_6097774.html. Swanson, J.W., “Is there any link between migraines and gastrointestinal problems?” Mayo Clinic web site, December 14, 2012; http://www.mayoclinic.org/diseases-conditions/migraine-headache/expert-answers/migraines/faq-20058268, last accessed November 19, 2014.